DO YOU USE SKIN CARE PRODUCTS THAT'S INCLUDED IN THE WHOLE SYSTEM OR LINE? This is another concern that sometimes I consider when choosing the right skin care products for my skin type. Using skin care products from the whole system or line can be expensive and does not guarantee us with positive results. But some individuals prefer using the products from the entire system because they believe that consistency is the key. If you use and anti- aging products from a specific brand, your should use the facial wash, cream, toner, serum, eye cream and sunblock that's included in the whole skin care line. What if you have different skin care problems and you want to address all using few skin care products? Fret not because now you can have a customized skin care routine that will address to your problems. When Ms. Josephine of b.liv skin care email me and asked me to try their products, I'm quiet hesitant because I haven't tried using combined products to aid my aging skin, hormonal acne and uneven skin tone. I usually treat them one by one. So when she lay out the products that I'll be using and the description of each, I'm somehow relieved about the side effects if ever if I'll start using this customized skin care from b.liv. 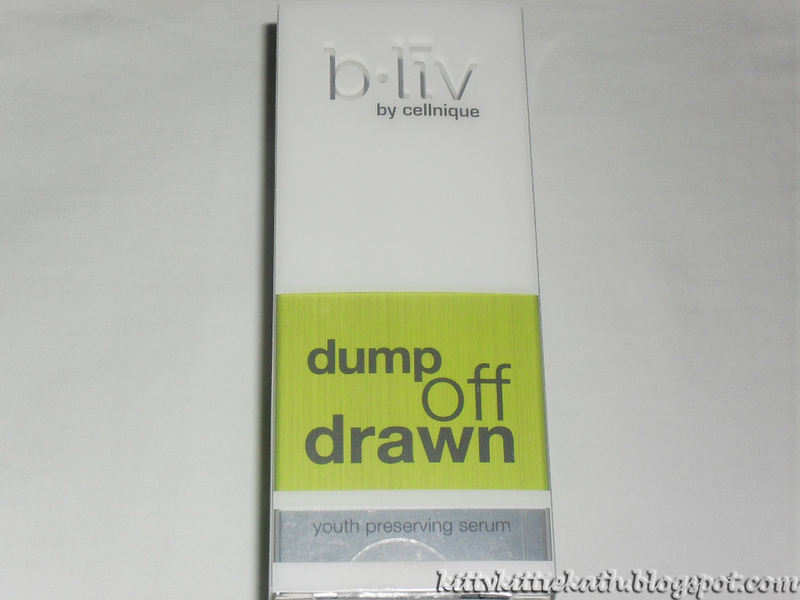 To know more about b.liv, please visit their website here: b.liv by Cellnique You'll learn important skin care information and you can even score samples for free!!! 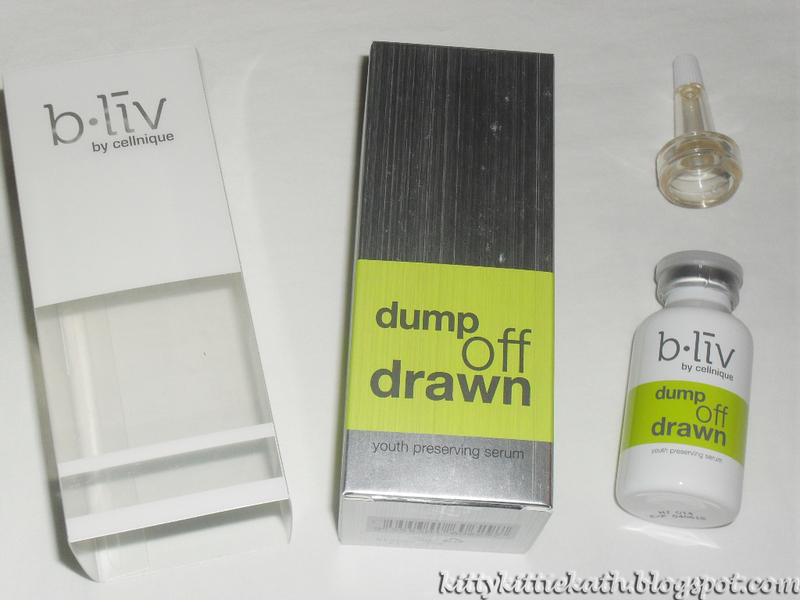 So back to the review, after assessing my skin care condition almost 2 months ago Ms. Josephine customized my b.liv skin care products to use. 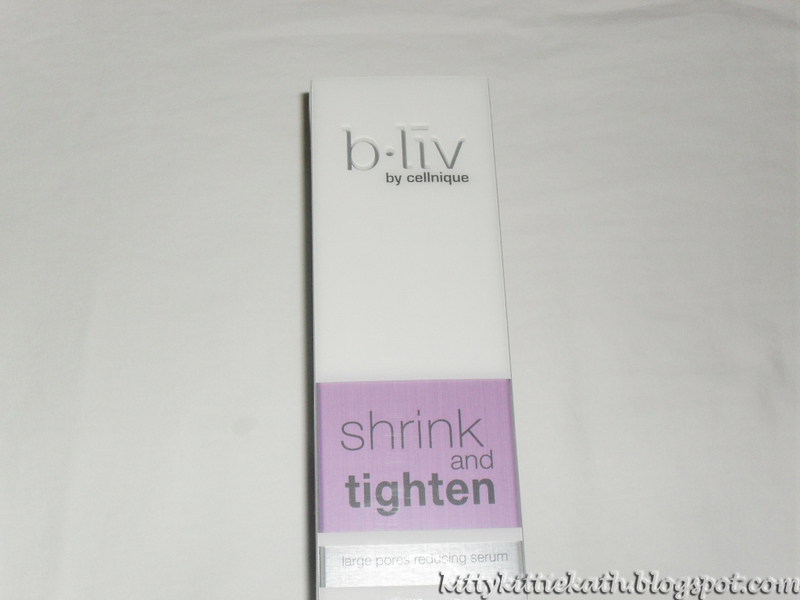 Here it is, my honest to goodness review of b.liv skin care products for aging, large pores, uneven skin tone and blemished skin. Before using b.liv skin care products. 2. shrink and tighten- reduces the appearance of large pores, calm down skin irritation. 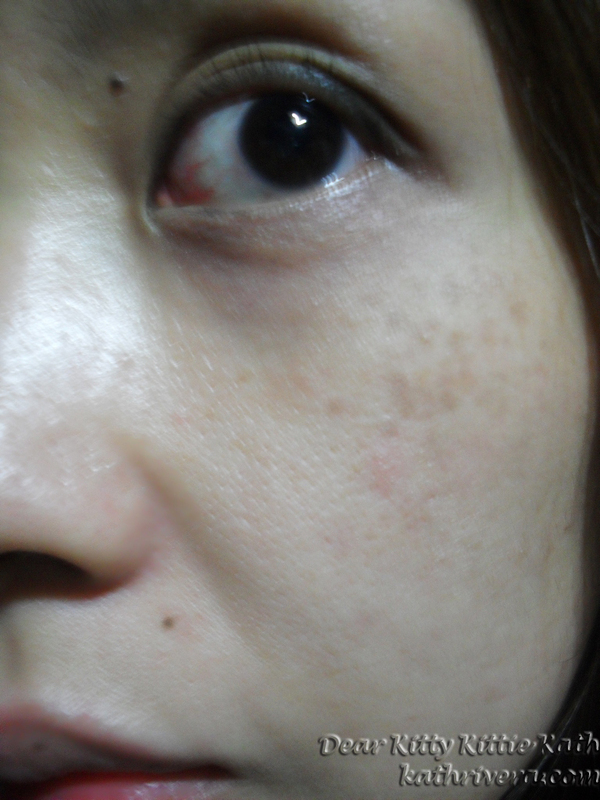 3. spots got shot- dries up acne, soaks up excessive oil, prevents acne reccurence, and removes dead skin cells. 1. 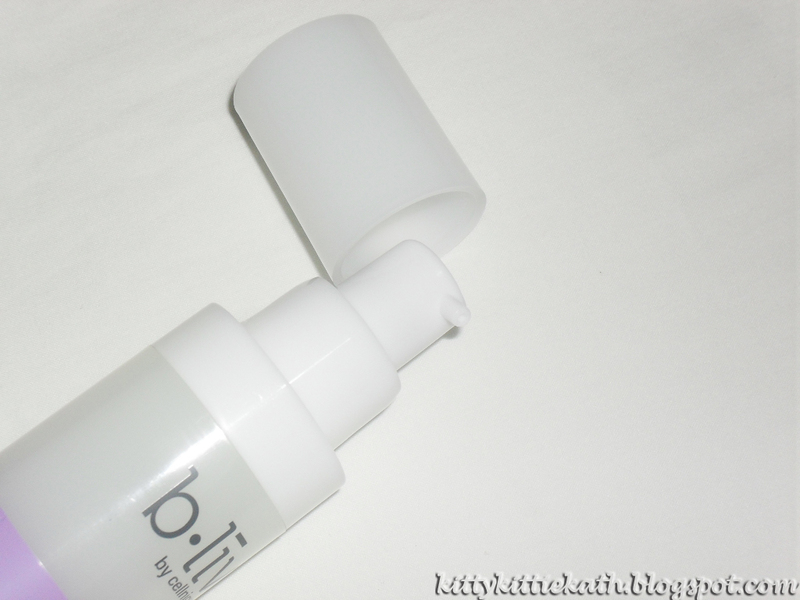 Cleanse face and apply toner evenly. 2. 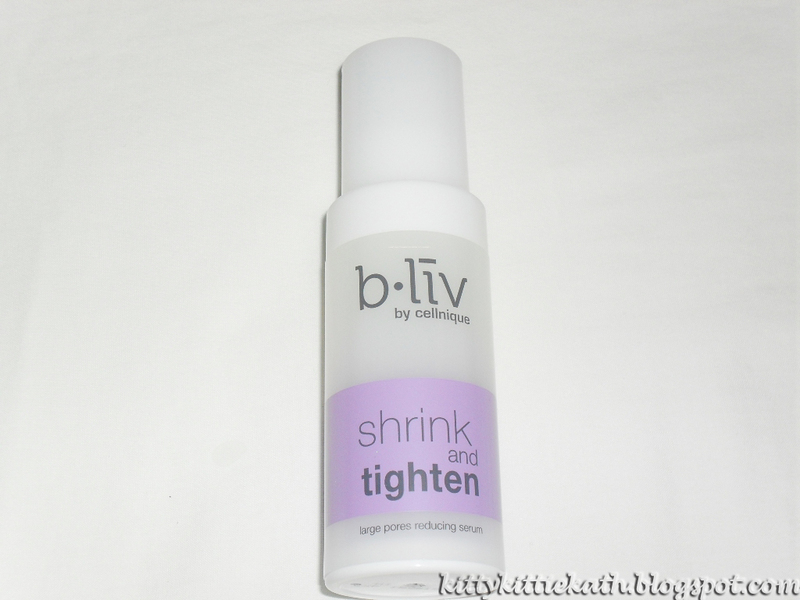 Apply 2-3 drops of Shrink and Tighten and gently massage until fully absorbed. 3. 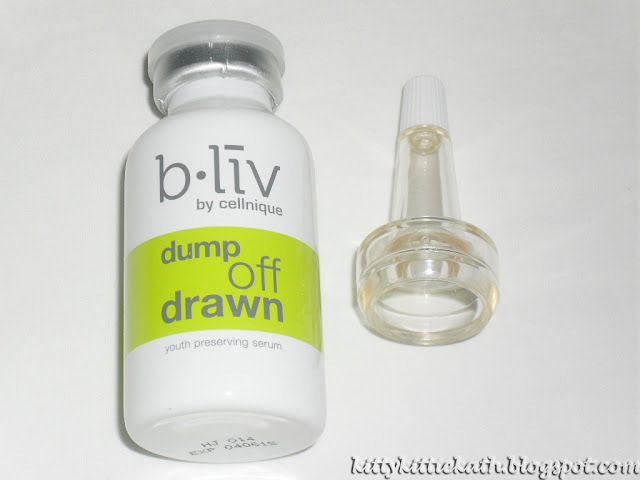 Apply 2-3 drops of dump off drawn and gently massage until fully absorbed. 4. Tip spots got shot on the affected or spotted area. massage until fully absorbed or leave it as a spot treatment. 5. Apply moisturizer and sunblock. 6. Once a week- apply a thick layer of Glow and Shine evenly on face and neck. Leave on for 5-10 minutes and gently massage with wet hand for 5-10 seconds before rinse well with plenty of water. 7. 2-3 times a week- Place Japan Silk Mask on face for 20-30 minutes. Remove mask and gently massage excess serum into skin. This pore reducing solution help minimize those large pores and pits, while repairing your weaken skin protection barrier. Shrink and Tighten helps reverse all your unsightly facial pores, by pumping in collagen to seal the pores, preventing future problems, by flushing out clogging and calming down irritation. It's anti-oxidant and barrier-repairing properties ensuring your complexion will stay forever large-pore free! instructions for use: Use daily for best results. Pump 2-3 pea-sized drops of Shrink and Tighten onto your palm. Apply gently on your cleansed face using circular motions until fully absorbed. I like that the product is contained in a not so opaque bottle that's why I can see how much product left. I can control the amount of product being dispensed because of the pump. The texture of the product is a bit runny but not sticky nor greasy. My skin feels soft and smooth and the appearance of pores are visibly reduced. Batch, manufacturing, expiry date of the product is printed on both box and container. Melts away signs of fatigue, wanness and age from your face with this serum! Dump Off Drawn is the ultimate antidote if urban life is draining life out of your skin- energizes, brightens and firms your complexion in due haste, while fighting against their appearance all day long! Armed with power-boosting ingredients, Resveratrol and Soy Isoflavone, it extends the youth span of skin, leading it to blaze with vibrancy and youthfulness! instruction for use: use Dump Off Drawn 2-3 times daily for best results. Pump 2-3 pea-sized drops of Dump Off Drawn onto your palm. Apply gently on your cleansed face until fully absorbed. The container bottle is unique! Brightens and tightens skin after every use. Even out some parts of my skin. Some of my freckles lightened and appear less visible under makeup. Batch, Manufacturing and Expiry date is printed on both box and container. There are times that I cannot control the amount of product that I dispense from the nozzle tip. This intensive blemish treatment helps calm your irritations, liberating you from blemishes, and any size of their previous existence. 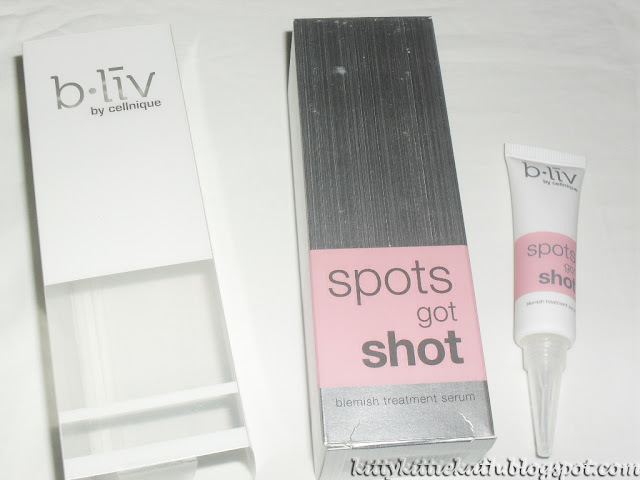 Spots Got Shots diminishes blemishes from your face, and soothes your aggravated skin to ensure marks leave without a trace. It soaks up excess sebum, to prevent future problems, and remove dead skin cells, to leave you looking vibrant and well. instructions for use: use Spots Got Shot daily for best effect. Cleanse your face. Apply a thin layer of Spots Got Shots on aread affected with spots. Apply 2-3 pumps of Quench Me for best effect. ingredients: Purified Water (Aqua), Cetyl Alcohol, Butylene Glycol, Disodium Lauriminodipropionate, Vitamin E (Tocopheryl Phosphates, Trimethylpentanediol/Adipic Acid Copolymer, Cyclohexasiloxane, Cyclopentasiloxane, Glyceryl Stearate, Lactic Acid, PEG-40 Stearate, Dimethicone, Glycerin, Glyceryl Stearate SE, Zinc PCA, PEG-10 Stearate, BHA (Salicylic Acid), Polysorbate 80, Sulfur, Propylene Glycol, Diazolidinyl Urea, Disodium EDTA, Methylparaben, Propylparaben. The nozzle tip is perfect in targeting small pimples. I can control the product that comes out of the tip. This spot treatment has thick consistency. Once applied, the product absorbs quickly and not sticky. Dries pimples overnight. It can calm skin irritations too. The product can flatten swollen cystic acne. 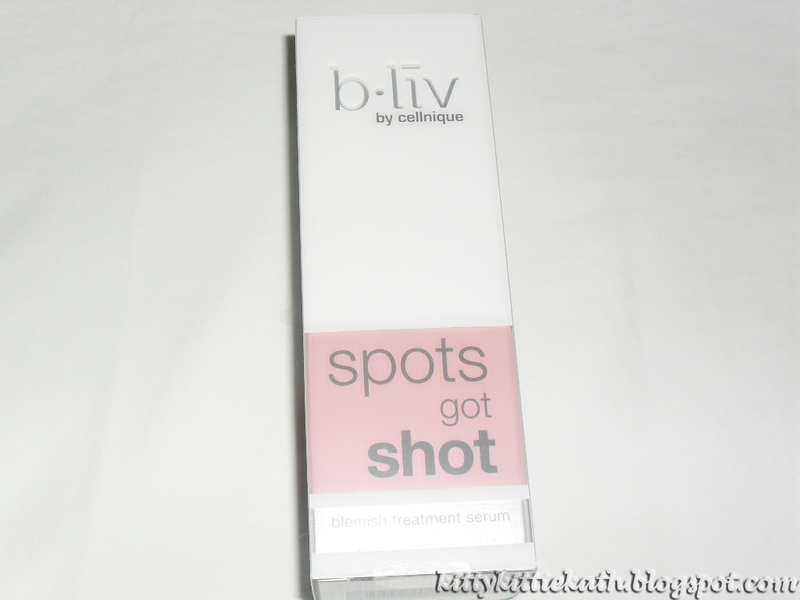 I like that IT DOESN'T make dried up pimples dark unlike other pimple spot treatment. Can lighten skin blemishes in a span of 1 week. The scent- if I will describe the scent straight-forward it's like I'm applying wasabi on my face. Wasabi is a spicy green condiment that's perfect combination for sushi. 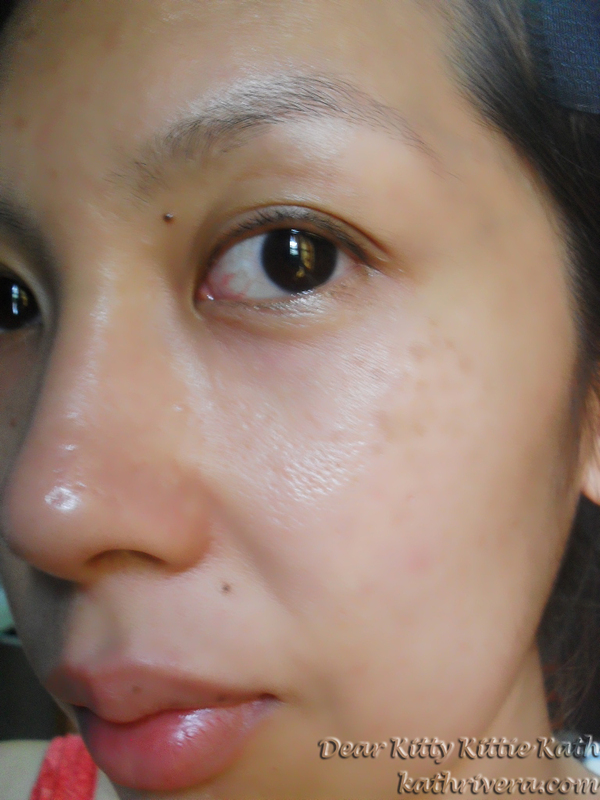 skin after 3 weeks- less oily and less visible pores with less pimple marks too. skin after 1 month and 2 weeks- same angle and clothing used to see the difference under natural lighting. Will I purchase: YES! As of the moment, I really save up to invest in good skin care products. I give the products a 4.5/5 rating. I really saw my skin texture improved after a month's time. 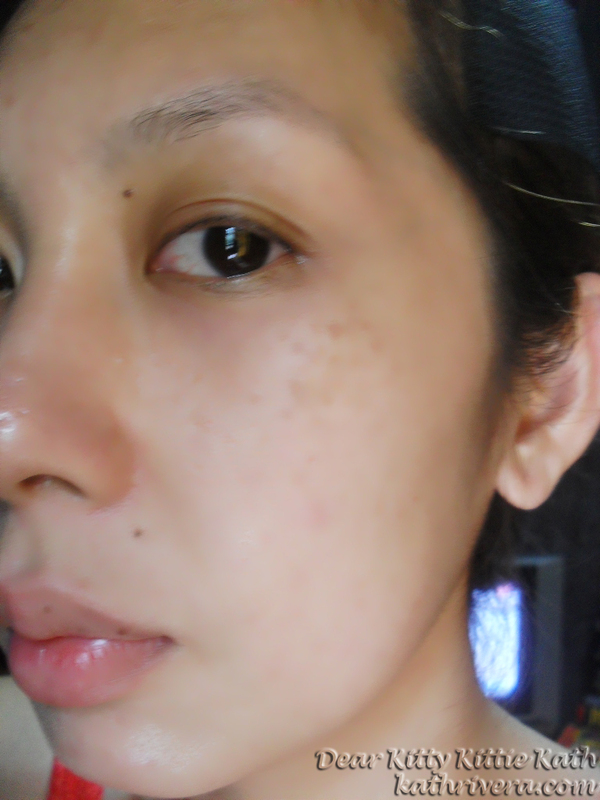 I know there's still a long way to go to lessen all the imperfection but I'm not aiming to have flawless skin. I just want to have a more even-toned, bright skin with less visible pores. The freckles will stay there forever and now I already accepted the fact that it's really there. Now, I can go outside the house with lesser makeup or sometimes I can go to mall without bb cream or foundation at all. I'm already starting to become confident with my skin. I also have uneven skin tone with large pores :( I clicked the link to the site but my bandwidth just exceeded to its limit, ouch! Anyway,I will keep it in mind, might visit the site soon. Thanks for sharing! They work like Kiehl's Midnight Recovery. Galing! I hope this isn't as expensive though.. ? @Bechay- hello :) The site is already working na dear. Check it out, lots of interesting products that caters to every skin needs. This post of yours opened my eyes. I should really take good care of my skin. I'm one of those lazy kind of people who always forget to wash and moisturize my face every night. @skin whitening- thank you so much! @eye floaters no more- thanks a lot! I treasure the knowledge on your site. Regards.